The Lakhmids, independent and proudly Arabian, enjoy a position of strength on the western banks of the Euphrates River, where they are tolerated by the Sassanid Persians and well insulated against Arabian rivals to the south. As part of the Tanukhid confederation, the Lakhmids migrated north from southern Arabia after one of the Marib dam's many collapses wrecked their food source. 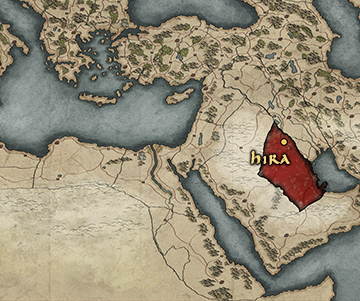 Following the death of King Jadhima ibn Malik, the son of their original leader, the Lakhmids split from the confederation under Rabia ibn Nasr and settled at al-Hira, which became their capital. Here, the Lakhmids built a kingdom that remained fiercely Arabian, becoming the first to read and write in Arabic when other Arabs were still using Aramaic. The Christian Lakhmids' relationship with the new Sassanid dynasty was not immediately friendly, however, as they were allied to Rome for a time (who looked favourably upon Christians in the Levant) and raided nearby lands at the Empire's behest. However, when the Sassanid Emperor Shapur II began military action against the Arabian kingdoms in AD325, Roman assistance was nowhere to be found; in the aftermath, al-Hira was captured and its population massacred. 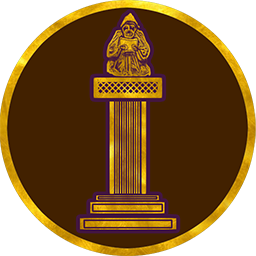 Now, though nominally under the control of the Sassanid Empire, the Lakhmids have managed to retain some autonomy and are growing once more, yet are nevertheless expected to provide military support to their Persian overlords when required. However, the self-styled "Sons of the Water of Heaven" do not intend their ways to crumble, or to bend the knee to anyone! Although immigrants to Persia from Yemen, the Lakhmids no longer live under the shadow of either the Sassanids or Himyarites. Their cities are beacons of culture, their armies a force to be reckoned with.